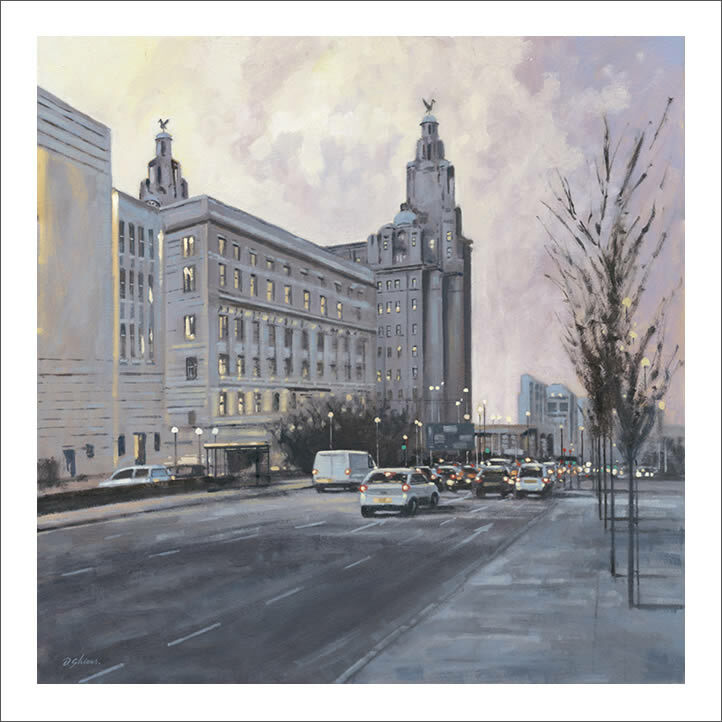 David Shiers is a Wirral based artist. He has worked in various studios as a Graphic Designer and Illustrator, exhibiting widely around the country. The only tuition he has received was from attending Liverpool College of Art life drawing classes. David paints mostly landscapes, and architectural subjects. His painting is all about capturing the light, atmosphere and essence of a subject. He has a fast and spontaneous approach to his painting producing work in an expressive and impressionistic style. He works in oils and mixed media, combining watercolour, acrylic, oil pastel and gouache.